Using the ColorChecker Gray Balance target for reflective spot exposure metering will give you the confidence that your images and video footage will be exposed as accurately as possible. 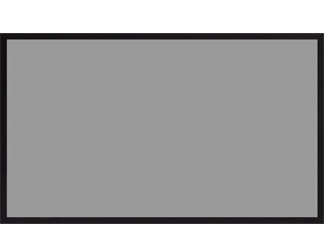 The ColorChecker Gray Balance is a pocket size version of the 18% gray reference square found in the 24-patch ColorChecker Classic target. The gray is scientifically engineered to provide a precise uniform surface that is spectrally neutral, meaning it reflects equal amounts of red, blue and green in all types of light conditions. The perceived color of white changes based on ambient conditions—outdoor it is perceived to be cooler, indoor, warmer, and under fluorescent light, greener. ColorChecker Gray Balance gives you the power to adjust your digital camera's color sensitivity to exactly match the ambient lighting conditions; in effect, changing what the camera “sees”. Even in a controlled studio environment, establishing an accurate custom gray balance ensures an accurate image and footage from the start of each new session. And at only 4 x 7 inches, it’s portable enough to take wherever you go! The ColorChecker® Gray Balance target is a pocket size version of the 18% gray reference square found in the 24-patch ColorChecker Classic target, scientifically engineered to provide a precise uniform surface that is spectrally neutral.